PayStack, the hugely famous Nigerian payments company, will be operating in Ghana soon. However Paystack didn’t say exactly when it will launch in Ghana. But it appears the company is looking to increase its staff before formally announcing its arrival. On its Twitter handle the company shared that six new entry-level positions are open for recent graduates. ⚡️ We're looking for 6 articulate recent graduates who're curious, empathetic, and kind, and who're looking to launch their career by joining Paystack. The vacancies are all for customer service representatives which might seem a bit odd. But a good portion of Paystack’s services relies on effective customer service. The reps will also work closely with the problem solvers, learning from them and building up competence to follow a career path within the company. In the end, the new recruits would help shore up the Nigerian base in case the more experienced staff move over to Ghana to lead the way in customer acquisition and growth tactics. Nonetheless, PayStack’s Africa-wide expansion has long been anticipated. 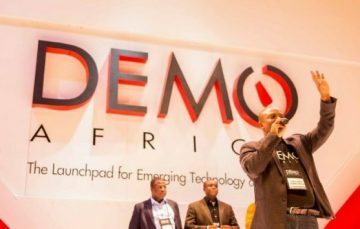 The two-year-old fintech has solidified itself as a force to be reckoned with in the Nigerian payment space. Although not as big as QuickTeller or Remita, the startup still gets huge approval of developers and private companies. And its payment gateway is now used by Taxify, MTN, Lagos Internal Revenue Service (LIRS), IrokoTV, Betway, among many others. Interestingly too, the company recently closed an impressive $8 million Series A round of funding. It also scored major investors like VISA and Stripe, both US payments companies. With two important players in the global financial world now backing it, PayStack looks all set to overcome barriers to growth and scale its services. Therefore, expansion seems very logical for the company. Its exploits will also be key to opening up the African market to foreign payments and the prospects of playing such pioneering role can be really mouthwatering. Stripe for instance, does not work in Africa. But now it will be banking on PayStack to lead the way in this area. The choice of Ghana is also very understandable. It is an English-speaking country with lots of connections and similarities with Nigeria. It also has a stable economy and a calm political climate which many Nigerian businesses have already taken advantage of. Some Nigerian banks for instance have huge presence in Ghana. All these factors would greatly ease things up for Paystack. More African countries are on the cards but for now, PayStack is taking them one at a time.